Ever fancied learning how to create your own signature whisky cocktails? How about experiencing a traditional Scottish ceilidh with a dram in hand? Or perhaps you want to learn to blend whisky like a pro? Whatever whisky-themed activity tickles your tastebuds, you can do it all – and a whole lot more – at the world-renowned Spirit of Speyside Whisky Festival when it kicks off later this month. Tickets have been in high demand since going on sale earlier this year but with almost 500 events on the programme, there are still plenty of opportunities to revel in the five-day celebration of Scotland’s national drink. Thousands of people – many of them travelling from overseas – will descend on the region from April 27 to May 1 to attend the Festival, which is recognised as being one of the best events of its kind. Festival manager Pery Zakeri says, “Tickets for some of the key events – particularly the very exclusive behind the scenes tours at distilleries not usually open to the public – sold out within a matter of hours. “There has been phenomenal demand for tickets, but we don’t want people to think that there are no tickets left. Whether visitors want to sample excellent whiskies, enjoy local food or take part in some of the more unusual events on the programme, there is still plenty of availability. There will be the chance to taste exclusive cask strength drams from Chivas Brothers on April 30, in the company of whisky royalty. Acclaimed whisky writers Ian Buxton and Ian Wisniewski will host the event at The Glenlivet and will be sharing their knowledge about distilleries and drams. This will be a great event for both whisky experts and novices, as they will also give tips on how to get the most out of whisky tasting. Tickets for the event, which includes six different whiskies, cost £30. Although most whisky drinkers associate Speyside with single malts, there is a strong heritage of blended whisky too. 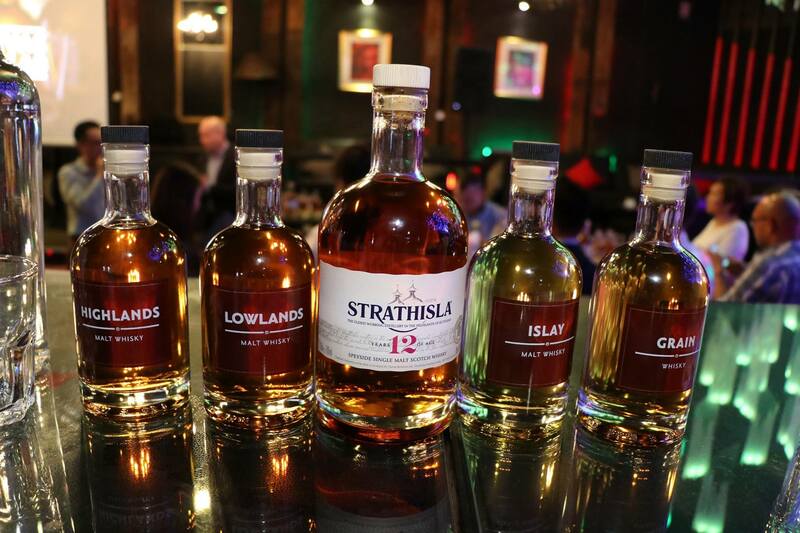 Visitors can learn how to blend in the style of Chivas Regal at an event taking part in the home of the famous blend – Strathisla Distillery – on April 29. During the special session, which is priced at £25, guests will taste a collection of drams, blend their own whisky under the guidance of an expert tutor from the Chivas Regal team, and take away a small bottle of their creation. Everything whisky will be on the menu at The Glenlivet Open Day on April 30. The event at the legendary distillery includes tours, a whisky bar, food tastings, music and an exhibition. There will also be a chance to sample a dram from the Sma Still – a replica of one used in the days before distilling was legal. Tickets are priced £5. There will also be a separate event, running as part of The Glenlivet Open Day, where visitors will be able to learn more about the smugglers who used the glen on an off-road tour on argocat vehicle. Tickets for the tours, which can be booked on the day, cost £40. An event that will leave visitors shaken and stirred is a cocktail and canapes masterclass at The Macallan – the dram reputed to be the favourite tipple of James Bond. There may not be an appearance from 007 on May 1, but those who go along will learn how to create their own cocktails using three different malts from The Macallan. Visitors will learn more about the range and enjoy three cocktails which the distillery’s brand ambassadors have specially created. Canapes to match the drinks will be served, and the cost of tickets is £40. Revellers at the Spirit of Speyside Whisky Festival want to carry on the party after a packed day of activities, and they will be able to do that thanks to an event being staged by Aberlour Community Association. Visitors to the area will be able to meet locals at a Scottish ceilidh night being staged in the town’s Fleming Hall on April 29. Music will be provided by the very talented young group BROMA – featuring drummer Daniel Gordon, who is ranked as one of the top 40 drummers in the UK. Tickets, including food, are £12.